Home > Blog > How cute is this dog???? How cute is this dog???? Up at Drymen today with Lily (in the photo), Holly & Ivy and Juno, trying hard to escape the rain that was firmly over Mugdock Country Park. Some success, although still rained at times. Holly & Ivy always enjoy their walks and today was no exception. 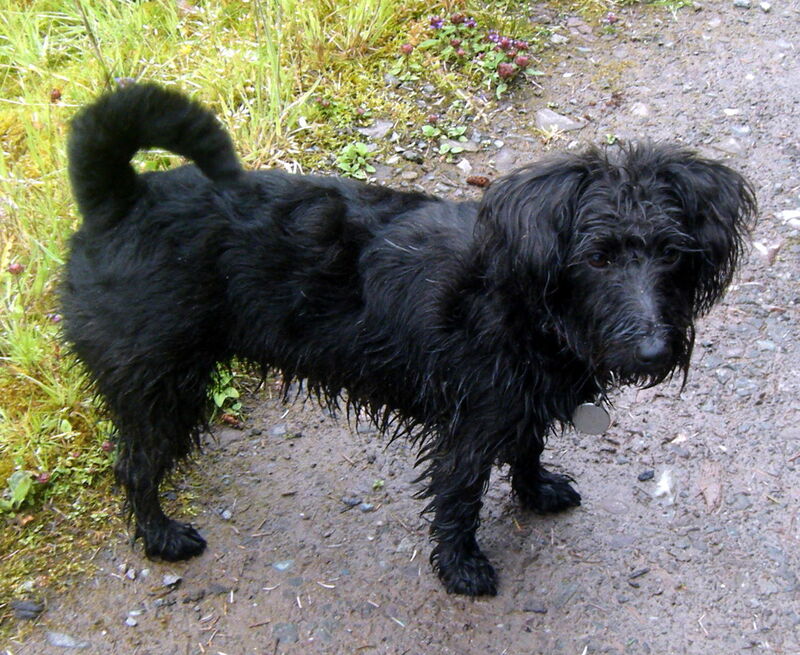 Lily is super cute, very friendly, very responsive and just loves our walks – the perfect dog walkers dream dog. New girl Juno still isn’t too sure of the van, but she will get there. On the walks she loves to race ages ahead of me, which is mildly heart stopping, until you see her racing back FULL PELT!! She is very responsive, and friendly and LOVES the other dogs company! Perfect.